Today, AMP has 1000m² of workshop and office space. Different national and international partnerships were established by AMP through the years. In order to deliver high quality to the customers, AMP has high-tech control and measurement tools. From the beginning, AMP was entrusted with the preparation of chassis for the greatest Belgian players in the market. AMP was the first to be recognized by the RACB (Royal Automobile Club of Belgium) as a homologated manufacturer. It's in the spring of 2015 that WRT Racing comes into the picture. With the aim of controlling the production of its VW Fun Cup chassis. WRT moved AMP to a bigger facility and restructured the personnel but kept the great manufacturing techniques. AMP is quickly entrusted with TCR chassis production for one of the world’s largest manufacturers. It took only three years for AMP by WRT to establish itself at the forefront of the international scene. 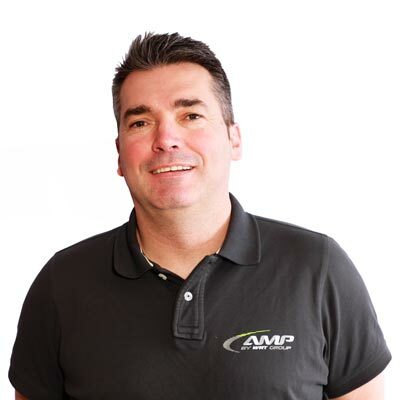 Eric Kaiser is in charge of the AMP business. With 11 specialists full time and over 30 years of experience in chassis and roll cage production.